An Update On Hrithik Roshan And Tiger Shroff's Next Film. Excited Much? 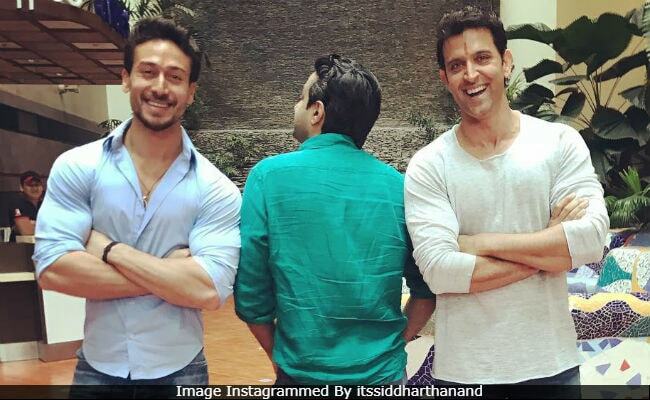 Tiger Shroff and Hrithik Roshan, who co-star in Siddharth Anand's next untitled film, will begin shooting next month, the Baaghi 2 actor told news agency IANS. The film was announced last year and has some high-octane action sequences. Speaking to IANS at the sidelines of an event, Tiger Shroff said that the duo have shot for the introduction action scene and added, "It was quite challenging and we tried to do different kinds of action in it. I am waiting for October because then, we will start the first schedule of the film." About its release date, he said, "I am huge fan of Hrithik sir. We have time for the release of the film. It will be released on October 2 next year." In the film produced by YRF, Hrithik plays Tiger's guru. The untitled film will be a face-off thriller and will be shot around several countries to make it visual and action spectacle for audiences. It also stars Vaani Kapoor in lead role. "We want to stand apart and redefine how action films are made in Bollywood. We are shooting in Spain, Georgia, Italy, Portugal and Sweden and of course India. Some of the biggest action sequences will be shot in these countries," Siddharth Anand had earlier told PTI. Meanwhile, for fans waiting for an update on Tiger Shroff's Baaghi 3, he said, "We are thinking about April 20, let's see how it works out." It will be the third film Baaghi franchise. In the first part, Tiger Shroff was paired opposite Shraddha Kapoor and in Baaghi 2, he co-starred with rumoured girlfriend Disha Patani.